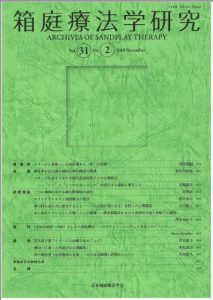 A Paper by Prof. Toshio Kawai, Dr. Chihiro Hatanaka and Researcher Hisae Konakawa et al. was published in Sand Play Therapy Research, Vol. 31. The research paper focused on the concept of a sense of self seen in clinical psychotherapeutic settings, taking into consideration the changes in the structure of young people’s kokoro today. It discusses the fragmentation of young people’s self image today, the unsustainability of their mentality of anxiety and conflict and how these aspects are related to the structure of dreams. The study used results from a questionnaire survey of university students.